IT automation has the ability to consistently deliver immediate and long-term benefits in four key areas: reducing costs, improving efficiency, increasing profitability and accelerating growth. Managed Service Providers (MSPs) are on the front lines of an ever-changing landscape. 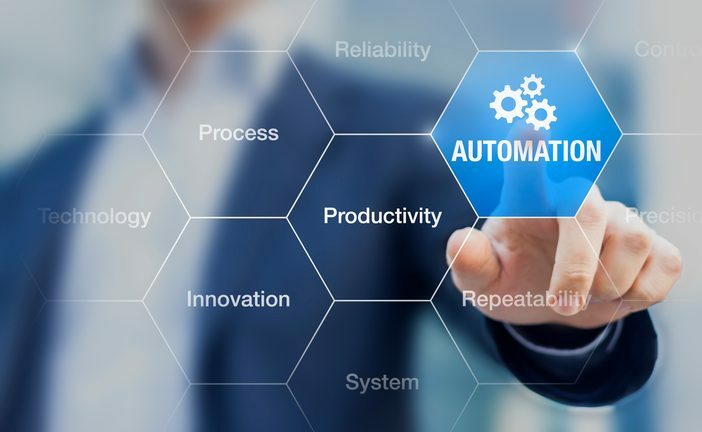 Navigating the field of constantly evolving tools and technology is a persistent challenge but one area rapidly emerging with clear and immediate value for MSPs is automation. For MSPs, IT automation has the ability to consistently deliver immediate and long-term benefits in four key areas: reducing costs, improving efficiency, increasing profitability and accelerating growth. In order to run a successful operation, expenditure must be kept to a minimum. This is particularly true given the amount of competition in the MSP industry. Potential customers almost always gravitate to the provider that offers them the most bang for their buck, and in order to compete price-wise, the cost of operations must be low. This often means working with limited resources, including fewer staff members. IT automation can bridge this gap, enabling MSPs to do more with less. The MSP field is wrought with menial tasks and costly redundancies. When repetitive yet necessary operational tasks are shifted from human to machine, the work is completed instantly and without the risk of errors. Meanwhile, skilled personnel are freed up to be able to apply their advanced knowledge and expertise to more critical projects. In other words, IT automation facilitates a much more optimized environment. When an MSP leverages automation software tools, the subsequent cost savings and increased efficiency naturally makes the organization more competitive. Offering the same or better services than others at a comparable or even more attractive price point will help differentiate the automated operation from all the others, bringing in more business and driving up profits. One of the best features of IT automation is that it is entirely scalable. As business needs and customer demands fluctuate, automation will be there to accommodate those changes on-demand. Need to scale up in a moment’s notice? With automation, you don’t have to worry about hiring additional staff. This allows for sustainable growth without incurring additional expense. While these benefits are compelling, MSPs also need to recognize and follow best practices in order to achieve the highest ROI from automation technology. Be Proactive – Leverage automation beyond the basic tasks and workflows that are already known to be cumbersome such as password resets and service restarts. Think outside the box to anticipate and plan for additional areas where IT automation could provide further business value. Also be sure to utilize the resolution statistics, monitoring, and reporting capabilities that may be built into your automation solution to demonstrate the value gained. Strategize how you can utilize the technology available to you to better serve your customers in the future. Standardize – Create a list of standard practices that are universal across all clients and implement an automation strategy that will further streamline operations, ultimately creating a more consistent, positive client experience across the board. Practice Policy Management – Establish a proactive system of solid policy management that defines and ensures adherence to compliance, IT governance and other regulations. With cloud technology on the rise and data security an increasing priority, industry regulations are becoming more demanding on MSPs. Ensure compliance from the outset so that customers have peace of mind. Continuously Review and Optimize – While automation may help eliminate much of the day-to-day drudge work, you will never eliminate it entirely. As such, the remaining tasks and workflows can become a source for additional learning and the development of best practices for further optimization. Finding newer and better ways to cut costs and deliver exceptional service should be a continuous work in progress. In the highly competitive MSP field, the key to sustainable success is finding a way to run the leanest operation without compromising on quality of service. If implemented and deployed properly, IT automation can provide the missing link, contributing to differentiation and creating a springboard to scale. Gabby Nizri is the CEO of Ayehu, Inc. Ayehu provides IT Process Automation and Orchestration solutions for IT and Security professionals to identify and resolve critical incidents and enable rapid containment, eradication and recovery from cyber security breaches.